August 23, 1967 the California Angels beat the Cleveland Indians 16-5 at Cleveland Stadium. Every Angel starter had at least one hit, including winning pitcher Jack Hamilton, who besides going 2-5 in the game scoring once and knocking in a run, pitched 8 innings for his 10th win of the year. The Angels had 25 hits in the game, 4 each from Jim Fregosi and Hawk Taylor and Fregosi would score 4 times while Rick Reichardt drove in 5. Of the 25 hits, 20 were singles, setting the Angels club record for singles in a game. Minnie Rojas pitched the final inning for his 22nd save. Even though the Angels were up 16-5, prior to the 1969 ruling a save could be awarded if the pitcher finished the game with the lead and was not the winning pitcher. Rojas was sent to the Angels by Jalisco (Mexican League) for $20k in 1966. 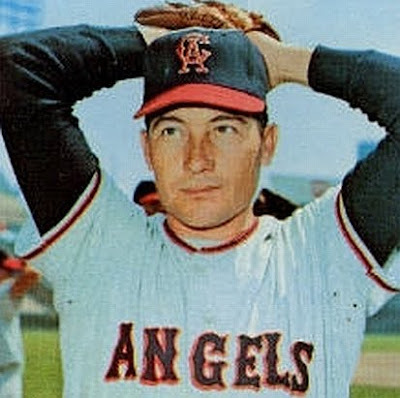 In 1967, Rojas led the American League with 27 saves and held the Angels club record before it was later broken by Donnie Moore in 1985.